This introduction to SQL for the Oracle database begins by discussing exactly how data is stored and maintained in a relational database, familiarizing readers with SQL INSERT, UPDATE, and DELETE statements. The guide then discusses how to construct basic queries, choose an appropriate output, and how to create and use groups. Readers will also learn how to use joins to query data from multiple tables, how to create predefined views that can be stored in a database, and how to utilize the metadata of a database. Appendices round out the book, covering the various indexing techniques available in the Oracle database and discussing how to install Oracle Database Express Edition and list the Oracle built-in data types. 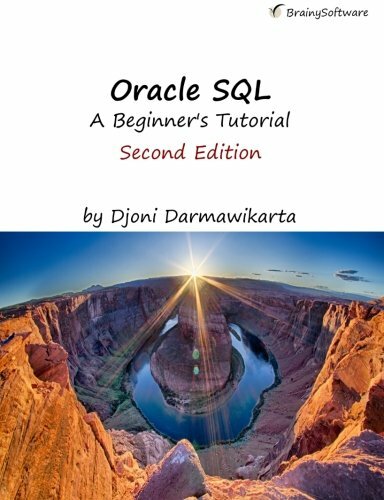 If you have any questions about this product by Oracle SQL:A Beginner's Tutorial, Second Edition, contact us by completing and submitting the form below. If you are looking for a specif part number, please include it with your message.